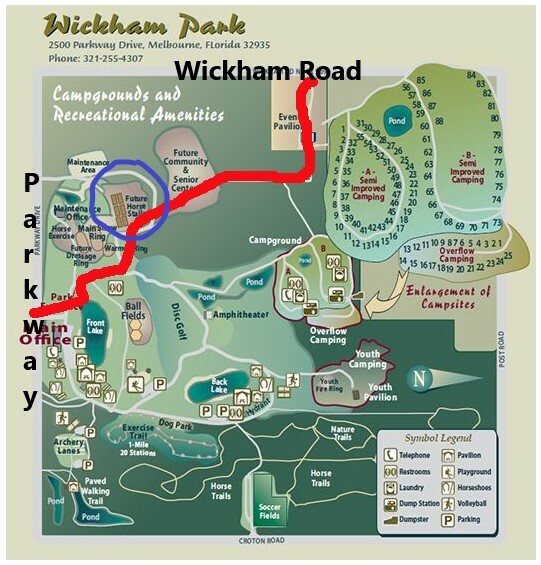 Whether coming in from Parkway or Wickham Road, simply follow the red line to the blue circle! Our Mobile Pet Food Pantry Distribution is held every 2nd Saturday of the month starting at 9am at Wickham Park (same Location as Farmers Market just north of Stables). Be sure to look for/follow the PAW SIGNS at the entrance. Please call (772) 539-2417 with any questions!